Some very clever mother turtles once again chose a pristine white sand beach on a secluded peninsula on the south shore of Bali this season to lay their eggs. 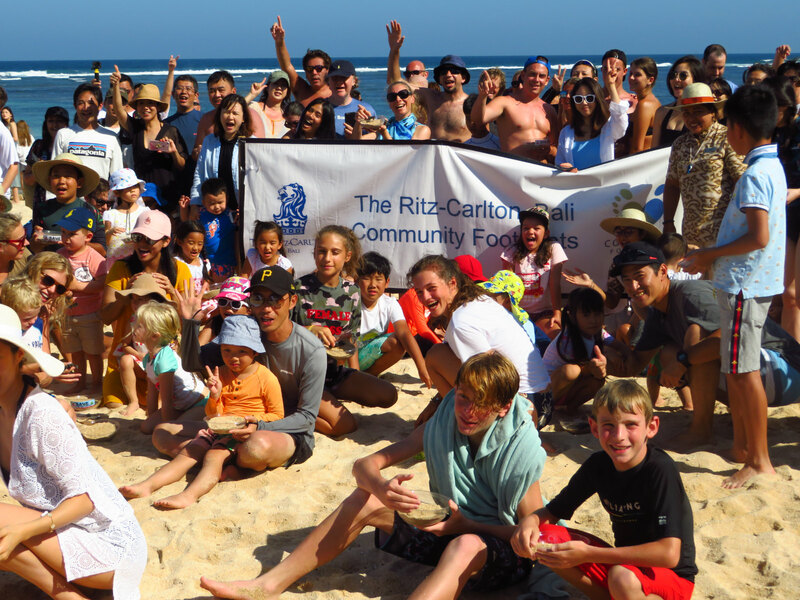 It turned out to be an excellent decision, since the location happens to face the Ritz–Carlton Bali in Nusa Dua, where the property collaborates with the Bali Sea Turtle Society in an ongoing rescue and release programme, under its Community Footprints initiative, a brand-wide social and environmental responsibility strategy. On Tuesday, 62 hatchlings went home to the sea with the help of young guests participating in the Ritz Kids programme. Each child first named a hatchling, then stepped to the water line, where the baby was released into the nurturing waters of the Indian Ocean. The turtle babies had no difficulty in recognizing their destination, crawling and sliding over the sand, into the tide pools, then splashing away with their tiny flippers.